It’s easy to quibble about the definition of the word sandwich. Does a hamburger count? A falafel-stuffed pita? But the word does, generally, imply bread of some sort. Not so with the jibarito, a specialty of Chicago’s Puerto Rican community, where fried plantains are the delivery vehicle for a meaty filling. Though its roots are Puerto Rican, the jibarito was actually invented in Chicago in the mid-’90s by expat Juan C. Figueroa. The brilliance of a sandwich with a crispy, crunchy plantain base quickly caught on, and a number of Puerto Rican restaurants now feature jibaritos, as do other Caribbean spots and the occasional contemporary sandwich shack. The filling: Beef, roast pork and chicken are all popular fillings, with the universal addition of garlicky mayonnaise and white cheese. Belly Shack. Chef Bill Kim is a huge fan of the jibarito and he serves an unusual version of the sandwich at Belly Shack. The recipe nods to his Korean background and the Puerto Rican heritage of his wife. “It’s like our love story told through food,” he says, “We like to refer to it as ‘Korican’ flavors.” On the sandwich, that means lemongrass chicken, tofu, or Korean BBQ beef on a bed of sticky brown rice, with curry mayo and chili paste—all sandwiched between flattened crispy plantains, of course. Joey’s Shrimp House. Seafood is an unusual jibarito filling, but it’s done right at Joey’s, where the plantains are always fried crisp and the shrimp are fresh and in correct proportion. La Bomba. "I fell in love with the jibarito when I was first courting my wife, Yvonne," says Kim, "and she took me to this local favorite, in the neighborhood she grew up in." That favorite was La Bomba, which Kindelsperger agrees is a great place to start. 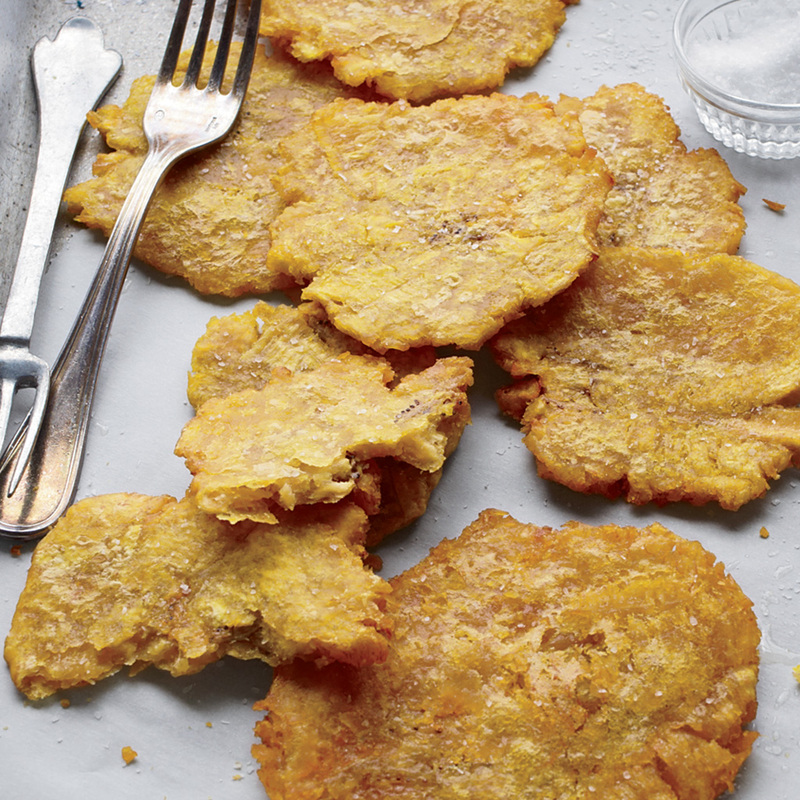 "It doesn’t overthink things, instead focusing on making sure the plantains are crisp and greaseless, while the meat is tender and well seasoned." Borinquen. The original home of the jibarito recently closed, but its two offshoots are still around. Kindelsperger notes that before it shut down, the flagship had become quite inconsistent. But you can’t talk about jibaritos without talking about Borinquen.